Learn about measles, the vaccine to prevent it, and the importance of vaccinating according to CDC’s recommended schedule. 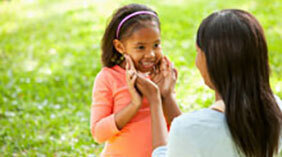 See resources for parents and others who care for children (including childcare providers). Consider measles in patients with a fever, rash, and cough, coryza and conjunctivitis—the three “C”s. Ask if they are vaccinated against measles and whether they have recently traveled internationally or if there’s measles in the community. Measles remains a common disease in many parts of the world. 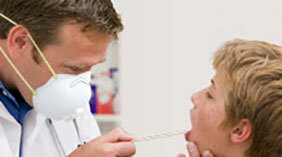 Anyone who is not protected against measles is at risk of getting infected when they travel internationally. Make sure you and your family are up to date on measles vaccination. Measles can be prevented with the MMR (measles, mumps, and rubella) vaccine. One dose of MMR vaccine is about 93% effective at preventing measles if exposed to the virus, and two doses are about 97% effective. In the United States, widespread use of measles vaccine has led to a greater than 99% reduction in measles cases compared with the pre-vaccine era. Since 2000, when measles was declared eliminated from the U.S., the annual number of people reported to have measles ranged from a low of 37 people in 2004 to a high of 644 people in 2014. Most of these originated outside the country or were linked to a case that originated outside the country. Healthcare personnel should have documented evidence of immunity against measles, according to the recommendations of the Advisory Committee on Immunization Practices[48 pages]. Healthcare personnel without evidence of immunity should get two doses of MMR vaccine, separated by at least 28 days.